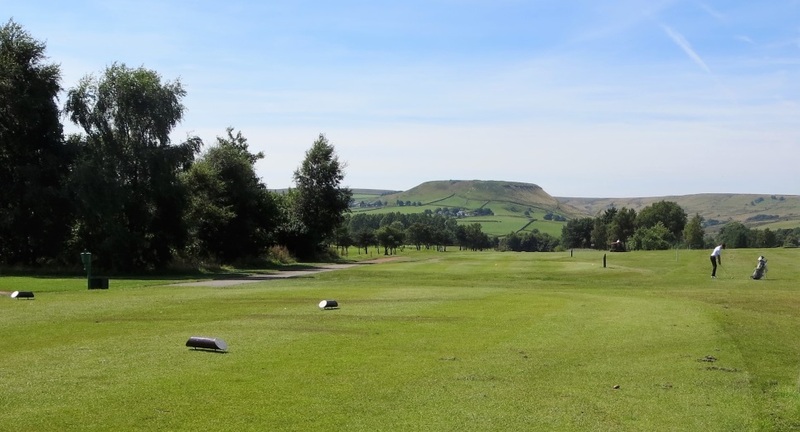 Established in 1903, the golf course at Rossendale Golf Club has stood the test of time. 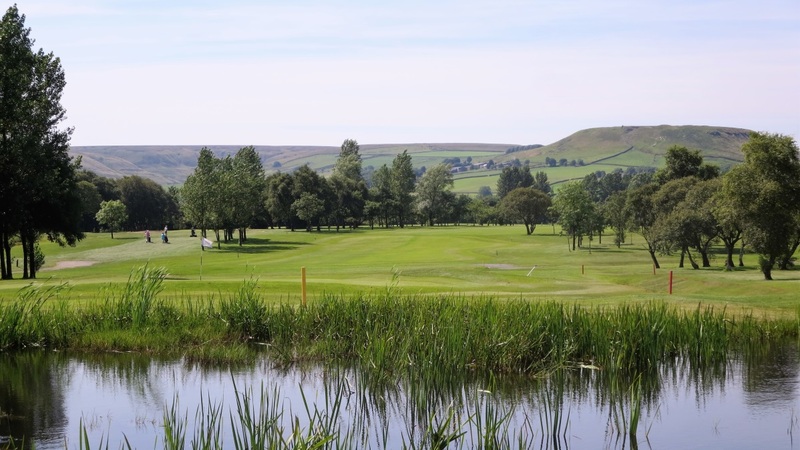 Our 18 hole, 6,295 yard Par 72 course has a challenging layout and provides a mean test of golf. 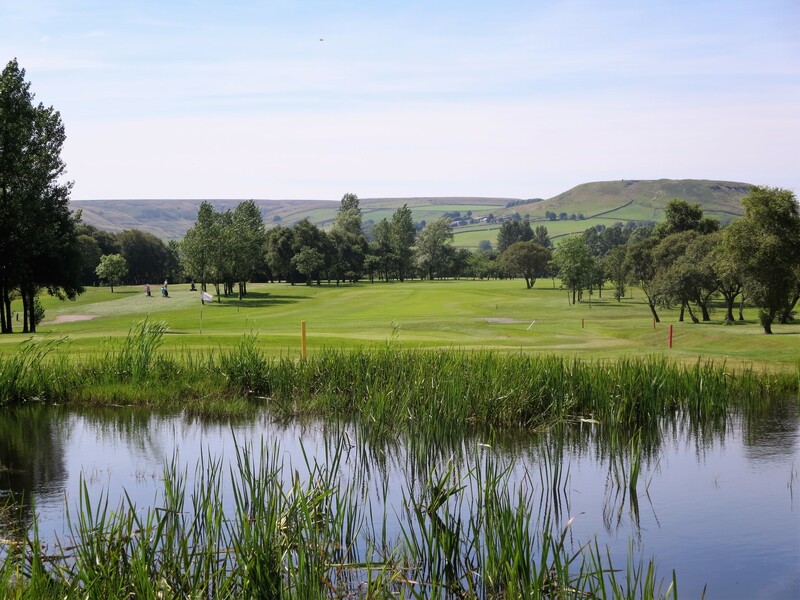 Set in beautiful rolling countryside, the Rossendale Golf Club course has 4 x par 5, 10 x par 4 and 4 x par 3 holes, giving a balanced challenge to golfers of all standards. When you've finished your round, you can relax in the Club House where friendly bar staff can provide you with beverage and delicious food. 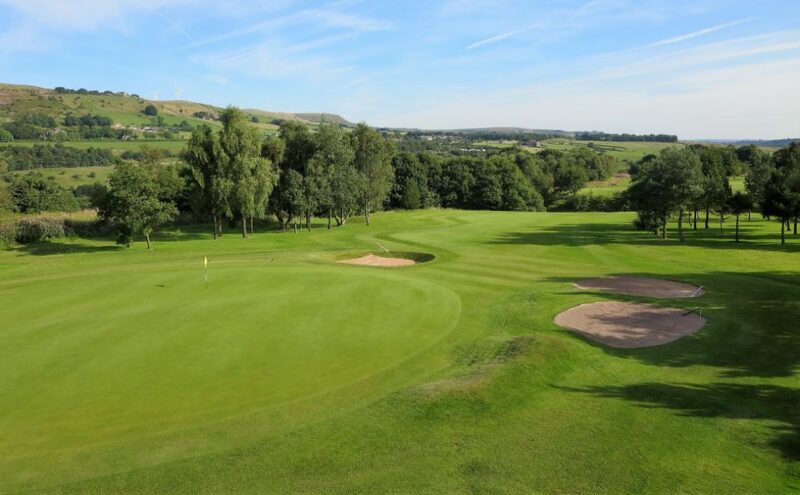 On warm sunny days sit on the balcony overlooking the 18th green, an ideal place to relax with your friends and discuss your round of golf. 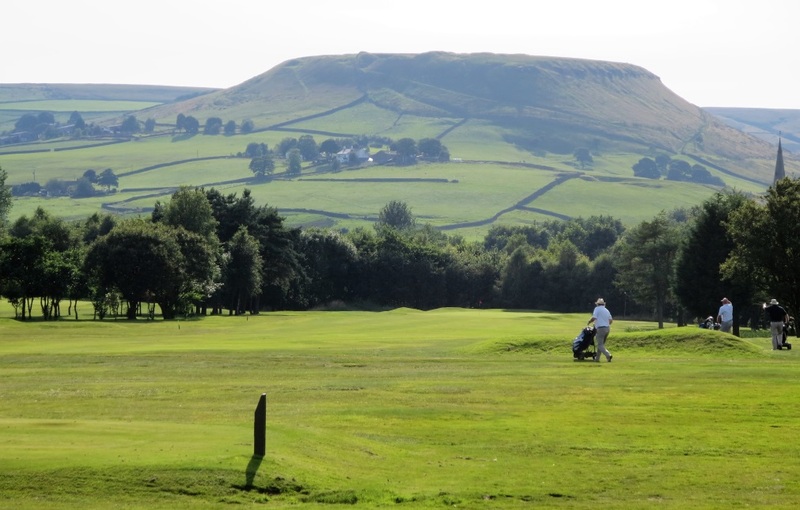 Scroll down to see the scorecard along with a photograph and description of each hole. 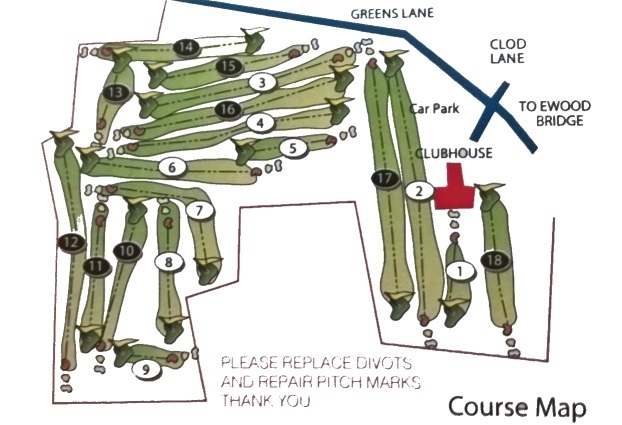 Click HERE to download the hole by hole course description. 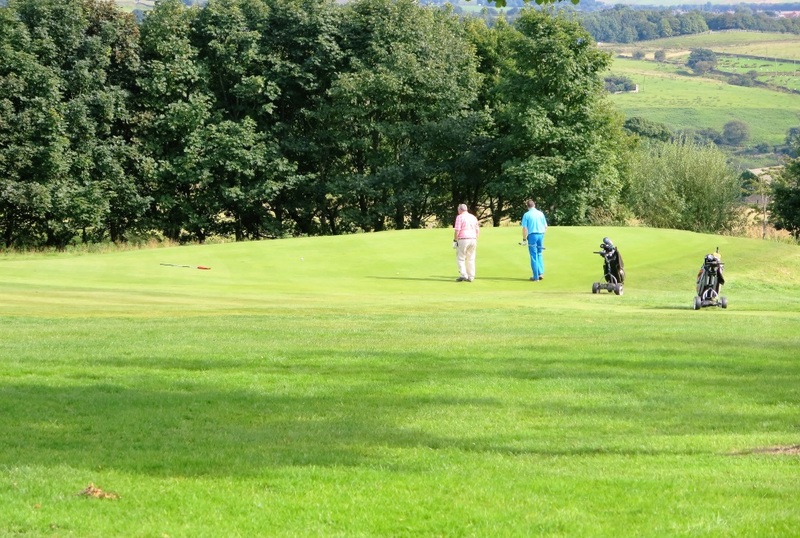 Click HERE to view/download our tips on how to play each hole. Hole 1 - "The First"
Hole 3 - "Musbury Tor"
Hole 5 - "The Ridge"
Hole 6 - "Road Hole"
Hole 7 - "Devil's Elbow"
Hole 10 - "Cockham Oak"
Hole 13 - "The Brook"
Hole 14 - "Old Barn"
Hole 16 - "Willow's End"
Hole 18 - "Haworths Home"
Par 3, Stroke Index 13. 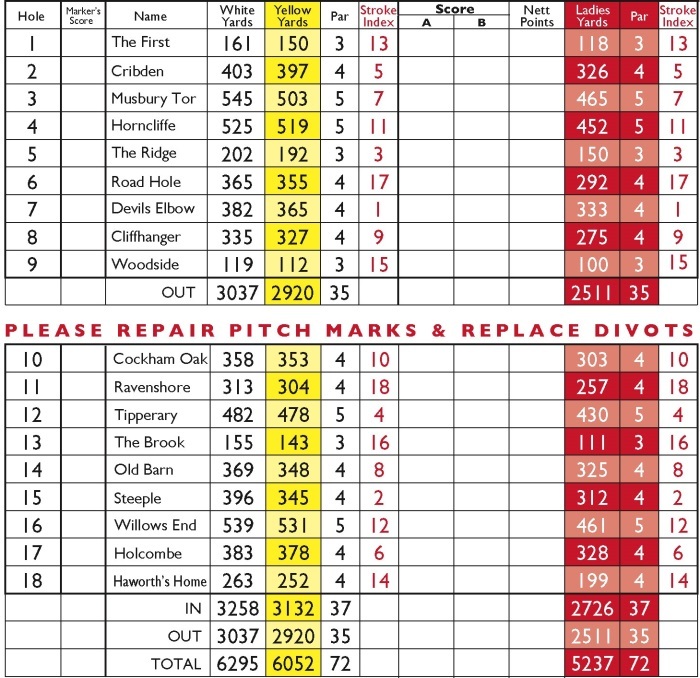 Yardage – White 161 Yards, Yellow 150 Yards, Red 118 Yards. Many golfers find it a challenge to begin a round of golf with a tricky par 3, then add the potential for a strong wind from the right. Too short and the ball is held on the steep bank, too long and your shot back to the green is from trees. 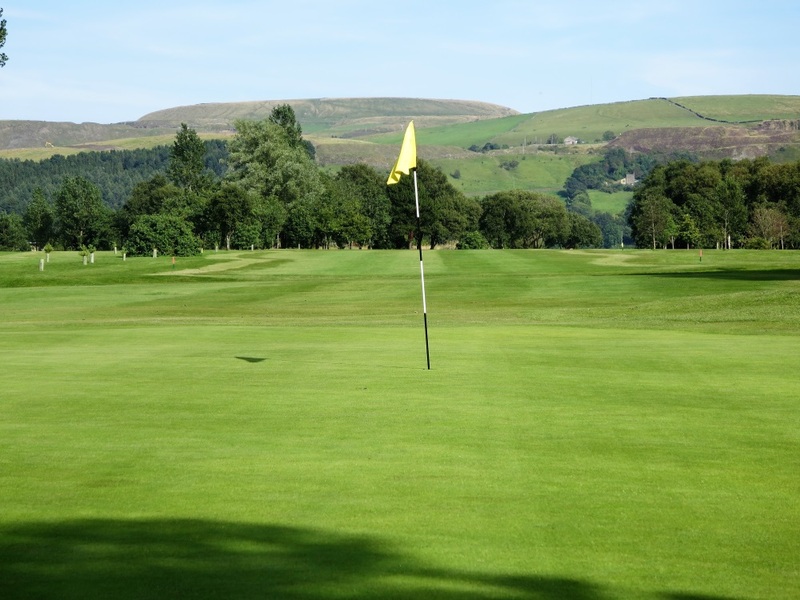 A check of pin position is important as the green has a severe slope right to left. Yardage – White 420 Yards, Yellow 397 Yards, Red 326 Yards. 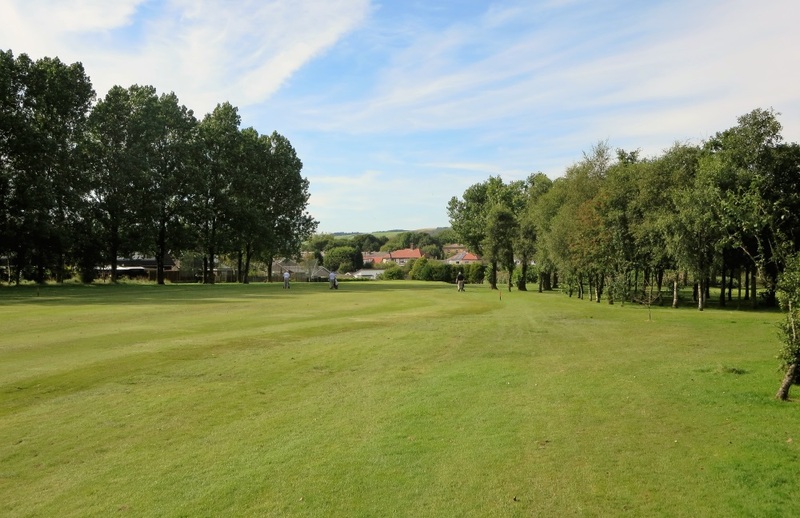 Reachable in 2 but don’t be long – not much room at the back of the green before the course boundary fence. Bunkers protect the green both left and right and can eat shots, caution there is a hidden bunker behind the one you can see on the right. 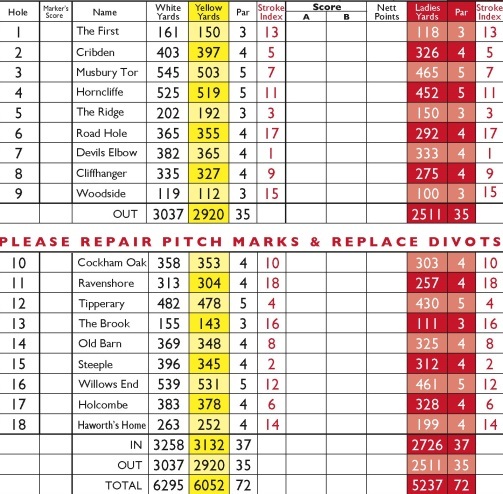 Yardage – White 545 Yards, Yellow 503 Yards, Red 465 Yards. Tough par 5 often into a prevailing wind. 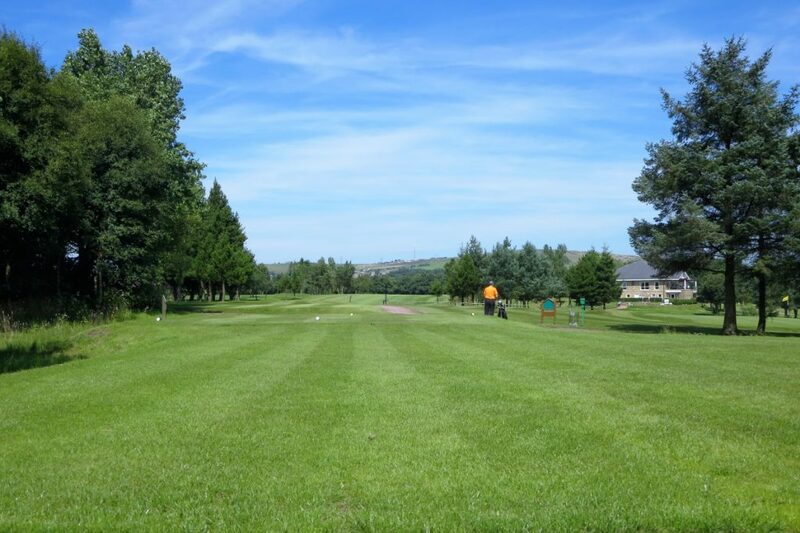 Players need to be aware of the open ditch across the length of the fairway waiting to catch your tee shot. Tree lined fairway after the ditch guiding you into the green which is often better approached from the left as the pin can be tucked away on the right. 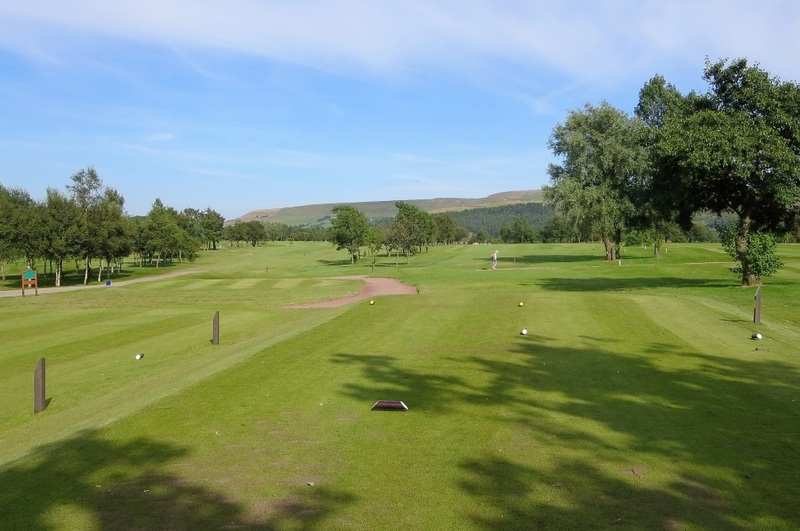 Slight dog leg and a drive to the right of the fairway will give you clear sight to the green. A ditch across the fairway waits to collect the 2nd shot if you are not careful. The green is protected with bunkers right and left and slopes from the back to front. 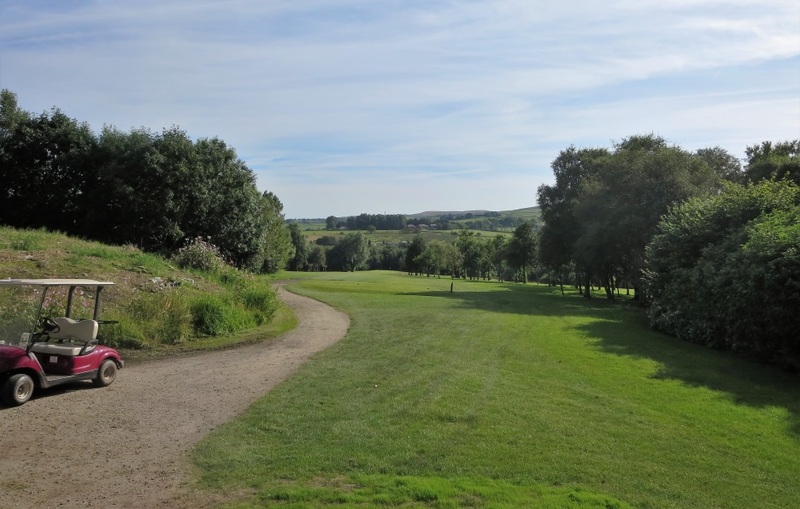 The 2nd par 3 on the course and a tough one from the white tees, often into a prevailing wind which can make it much longer than the measurement given on the card. It can be reached with a medium iron but on occasions may require a driver! The green is small and needs an accurate shot if you want a par. Straight forward hole so what you see is what you get. The bunker on the right cuts to the edge of the green inviting any, ever so slightly, wayward shot into the green. Again, a shot often into the prevailing wind which is the main challenge. A severe dog leg right down to an elevated green. A hollow on the right of the corner can gather the ball making the next shot a challenge from behind a row of trees. Big hitters can carry the hill and have an easy wedge into the green but most players will play to the corner leaving a full shot into a relatively small green. Downhill all the way with out of bounds to the left and trees on the right, requiring the tee shot being given careful consideration. The shot to the green depends on the conditions. 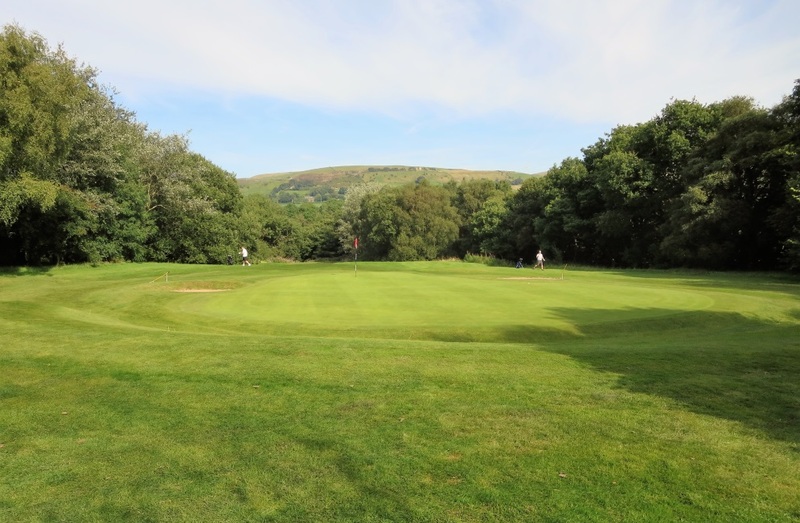 On cold wet days, a player may fly the ball all the way to the green far below them, whereas on dry days the strategy of landing short, letting it roll down to the green seems to work best to prevent the ball rolling off the green down a severe slope. The shortest hole on the course but not the easiest. With a narrow, elevated green with 3 levels which cannot be seen from the tee. Club selection is crucial to a successful par as bunkers guard the front of the green to the left and right. A lengthy hole which is uphill all the way to the green, nestled at the base of a large mound. A long drive is called for which will still leave a long shot into the green which slopes severely from back to front. A relatively straight forward short par 4 back down the hill. Players going for the green need to be aware of the large bunker which encroaches into the fairway around the landing area. Hitting the fairway is crucial for this deceptive hole. Long uphill dog leg to the left. Out of bounds on the left going to the corner. 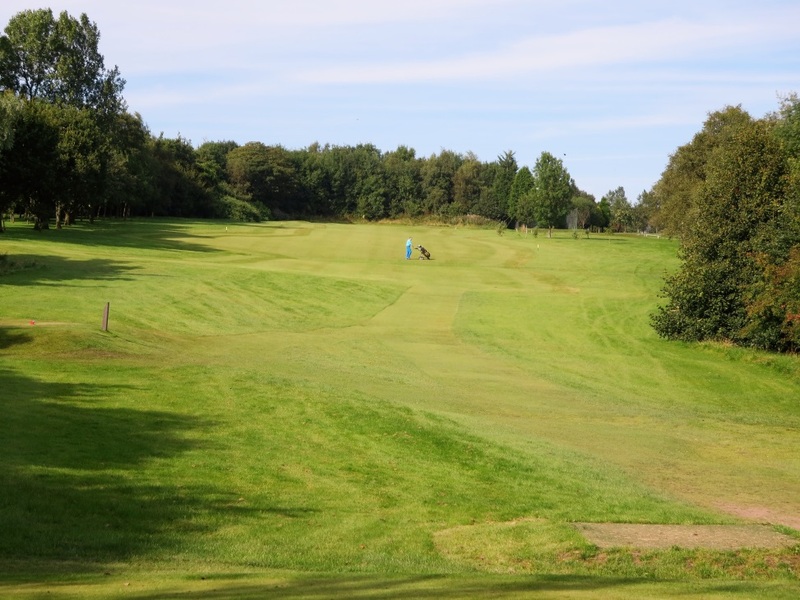 Tee shots need to be placed on the right side of the fairway which then shows a wide tree lined fairway to a two-tier green which needs a carefully considered approach shot. 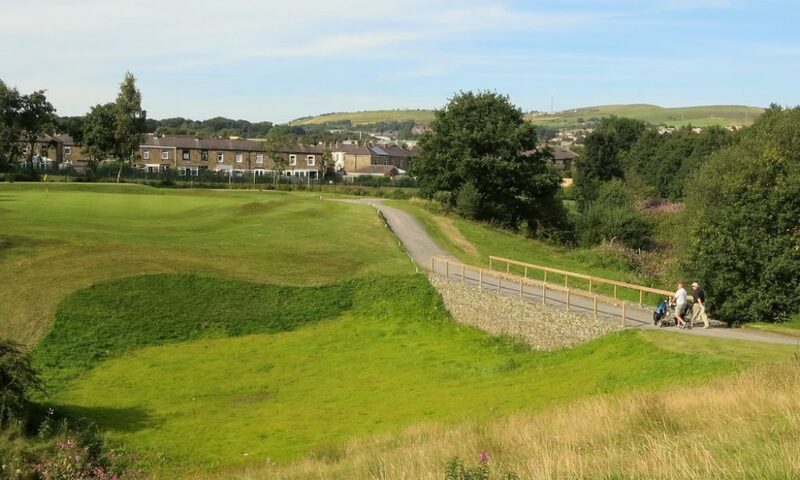 Rossendale’s signature hole. Shot to a small green over a ravine. 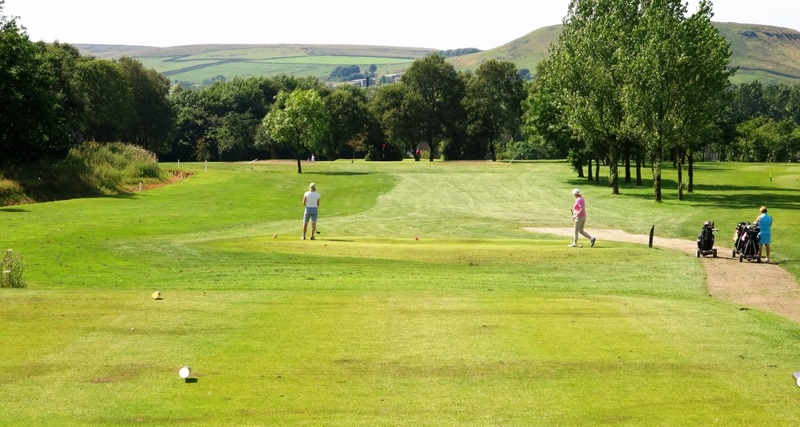 A shot hitting the front of the green with a gentle slope can mean a difficult second shot from the bottom of the ravine or a very awkward stance on the slope. 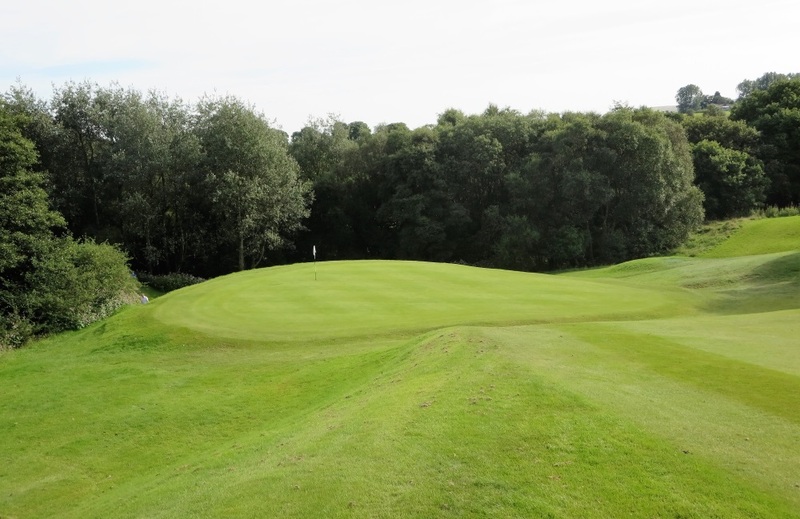 Overshoot the green and you have a tricky shot back onto a sloping green which could see your ball back down in the ravine. Another testing hole with a pond on the right looking to gather any slightly sliced tee shot. The ideal tee shot should be up the left leaving a testing approach shot into a slightly elevated green. A challenging fairway shot again where the pond is there to gather any tee shot which lands on the right side of the fairway. The approach shot can be anything from a 3 wood to a pitching wedge depending on the strength of the prevailing wind and ground conditions. Avoid being long with any approach shot; a difficult chip shot faces those who do. 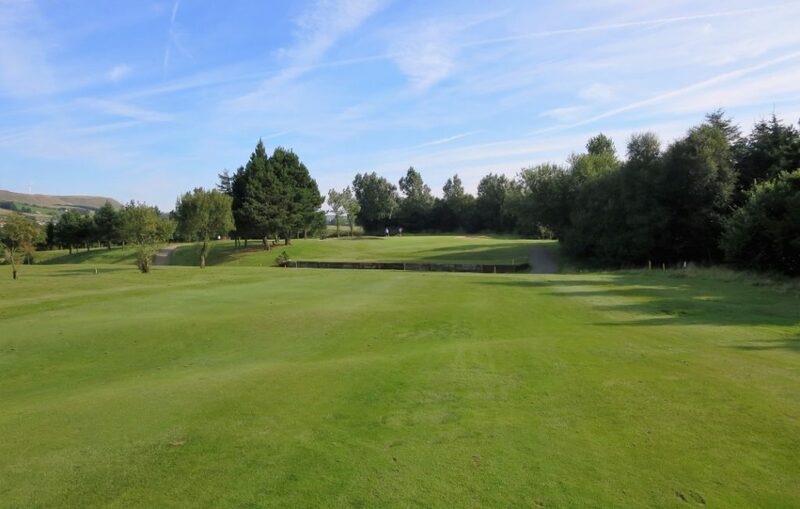 The last par 5 on the course and the longest with a small pond on the right-hand side of the fairway which can welcome even the straight drives which have not been thought through. An open drain welcomes the second shot and there is something to be said for playing short giving a player a full approach shot to the green. Accurate tee shot required on this hole with trouble both left and right. Any prevailing wind will pay a part on this hole and an open ditch with a steep face guards the last 20 yards to the green with bunkers to the right and left edges of the putting area. Although short this par 4 does not give the golfer time to relax and can ruin a winning score with out of bounds to the right and trees and mounds to the left. 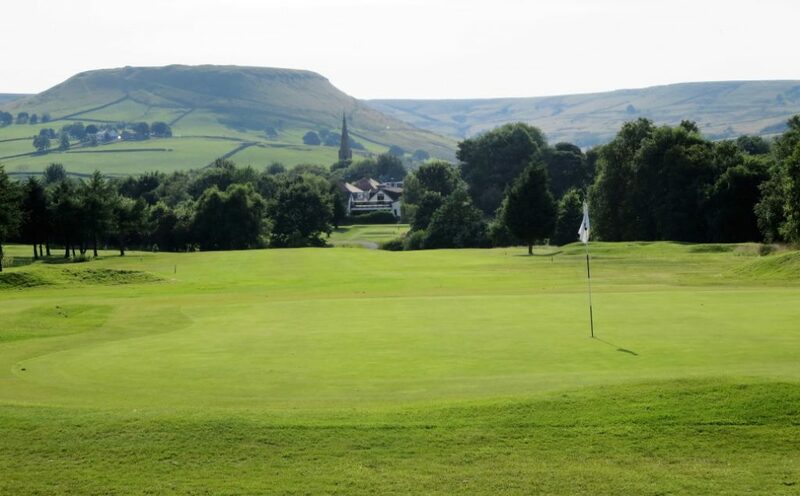 A solid tee shot should leave a wedge into the green but beware the green has bunkers protecting a green which has teeth wherever the pin might be placed.